Congratulations on winning September 2009 COTM Ady! You and your P11-144 Sport+ are very worthy winners indeed! How does it feel to know you are our latest winner, of the prestigious COTM award and feature? It feels great! I went to the Ferry Meadows meet, not expecting to receive this and I came home a very happy chap! 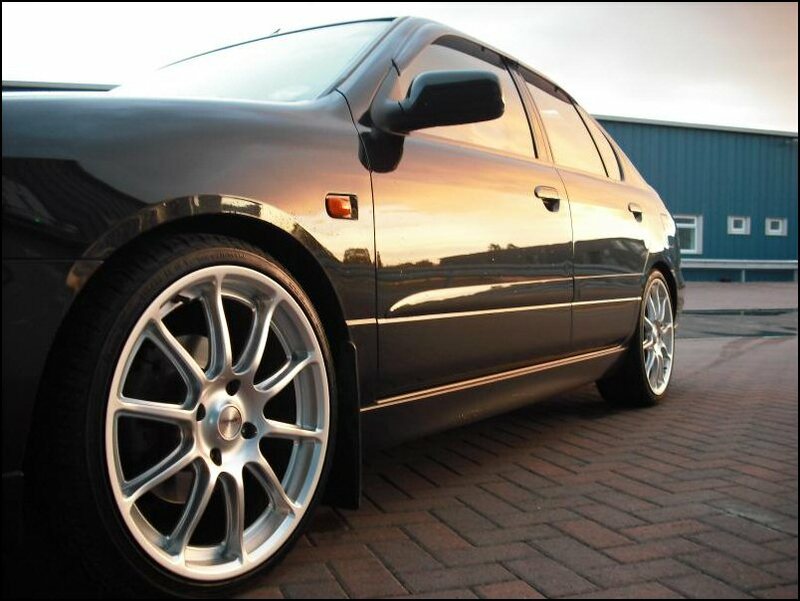 Before discuss the Primera, we like to get all nosey and find out about the owner! Please tell us about yourself and what you get up to, away from the NPOC. I live in a small town called Boston in Lincolnshire with my girlfriend Louise and two girls, Tilly and Abigail. I work as a road planer driver, which I have been doing now for over 14 months, great job and I work with great people. My previous job was working in the print industry for over 10 years. I enjoy playing golf and started playing at age 15. I try to play most weekends and we are bonkers getting up at 5.00am ready to play at 6.00 in the summer time. 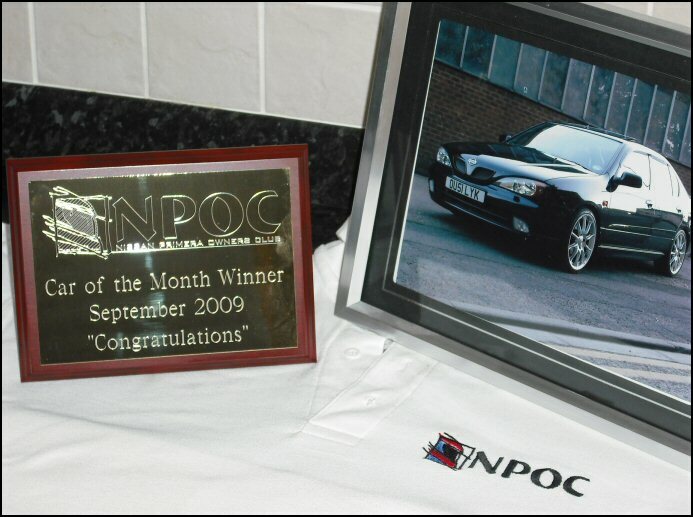 You've been an NPOC Member for many years now (your join date is incorrect in your profile, after we started again) - How did you find the NPOC forums and how are we doing as a club? It all started when I was looking for a large sporty car as I needed a decent boot space for pushchairs etc. 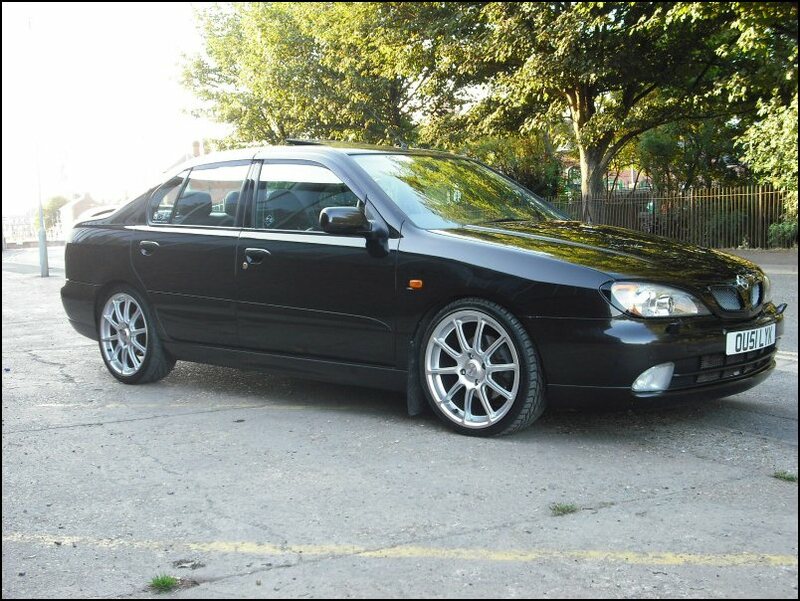 My choice was either: Vectra SRI 150, Honda Accord Sport, or a Nissan Primera GT. 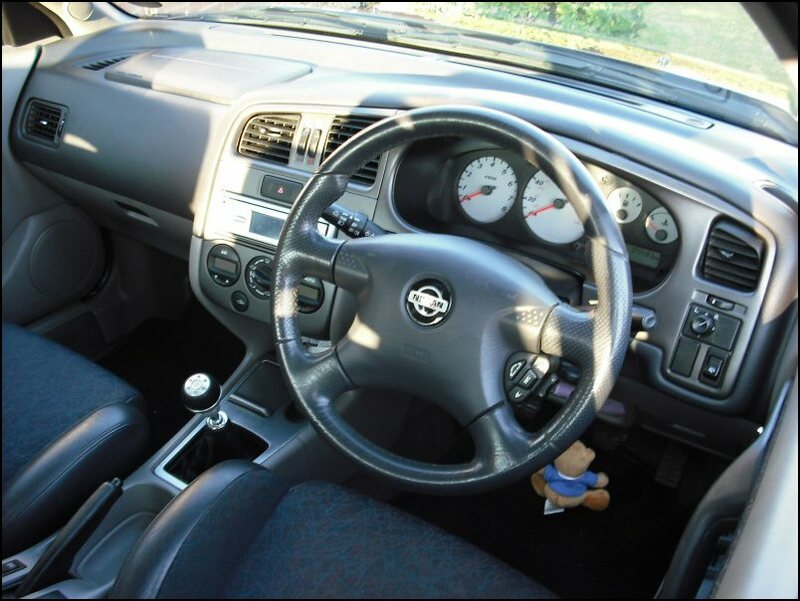 Having looked at all the technical details on all three cars, the Primera just edged it. I can't really remember how I first came across NPOC but I'm pleased I did! I joined the old NPOC forums sometime in 2003 and my first meet was Ferry Meadows 2004. I find the club and forums great, whenever I`ve had a problem or needed help, you know someone on the forum will have the answer. 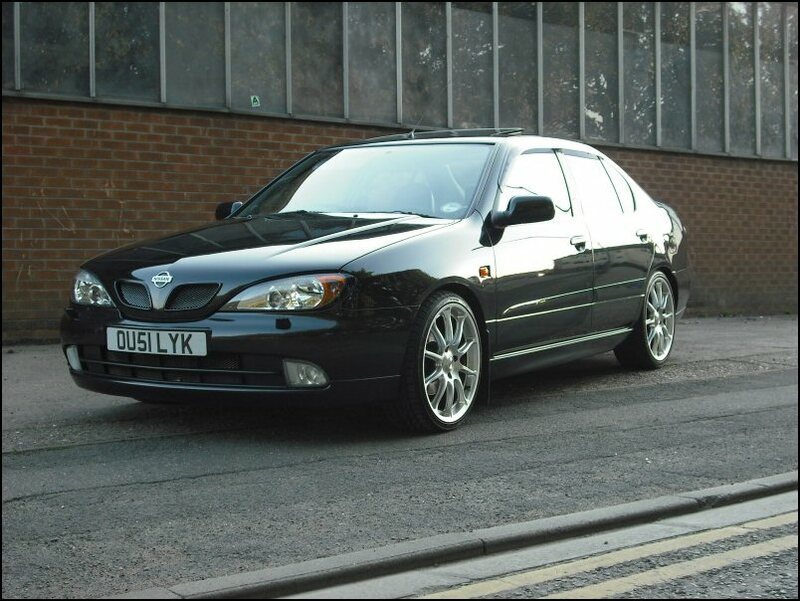 Normally I'd ask if this was your 1st Primera but we've all seen you own a few over the years now. Please give us a reminder of the ones you've previously owned. 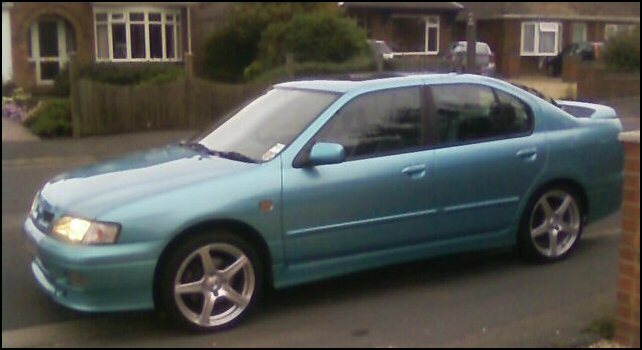 My first Primera was S708 RFU, A 1998 silver GT hatch. 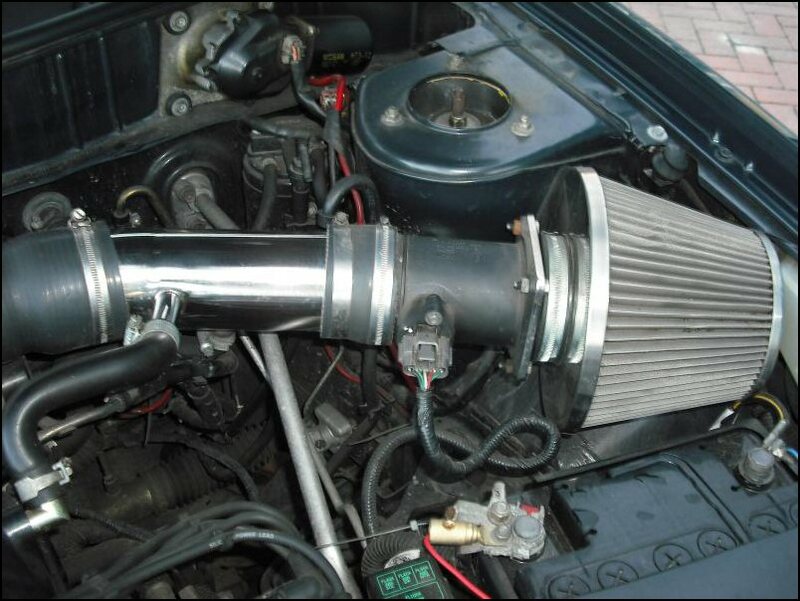 It had the following mods: Koni shocks with Apex springs, full Powerflow system with a 4" backbox (nice and loud!) 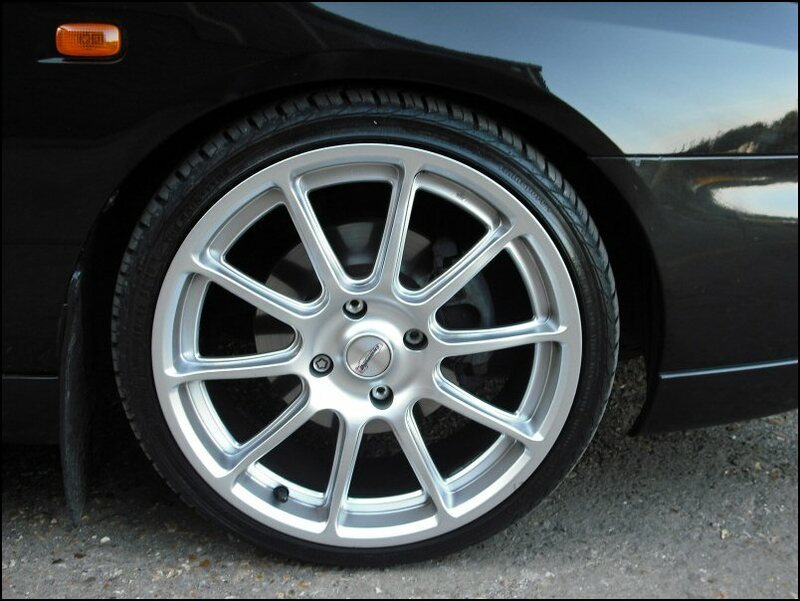 and 18" alloys. 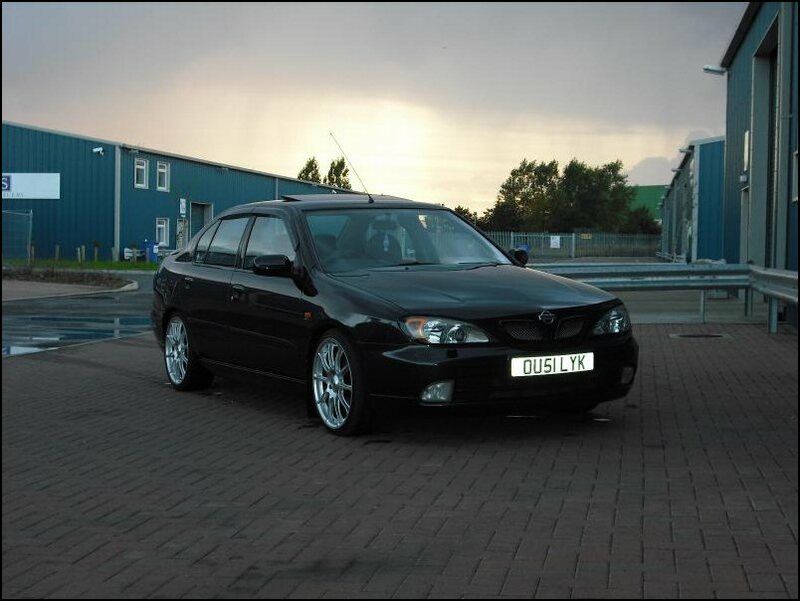 The car was awesome, probably the best handling Primera I've ever owned. I briefly owned a Red P11 SLX, sold it to make a few quid. It was a very nice car though. I had a 1999 Nordic GT saloon. A cracking car, one owner very very low miles, paid peanuts and sold it to make a profit. 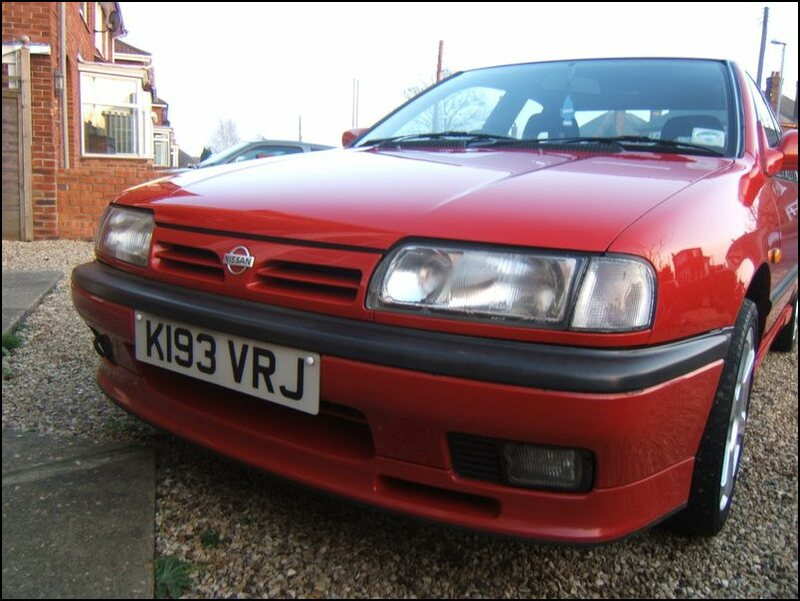 Sadly no longer with us, as the lad who bought it, wrote it off! 1992 Primera eZX saloon. Nice standard car, engine was sweet, it was sold as I needed money to pay expensive court fees. I'm gutted because I have just missed out on winter project, it was a P10 SE 76K on the clock and FSH. Do you have a favourite Primera to date, maybe one you wish you should have kept and why have you kept with the Primera brand so far? 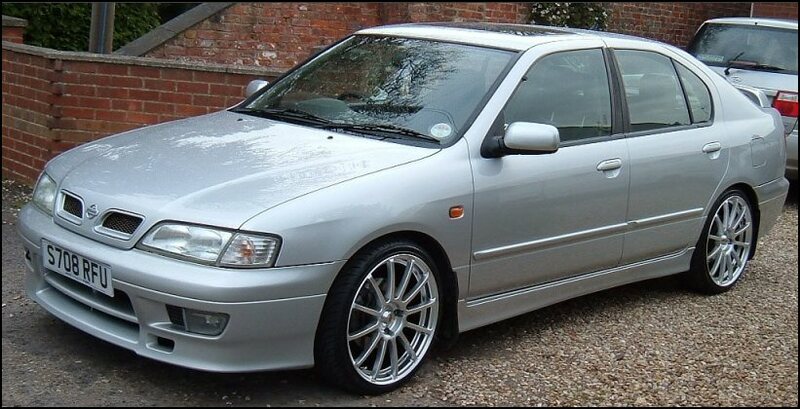 My favourite two Primera`s would be the silver GT, because it was so feckin low, a total bone shaker!!! OU51 is a cracking daily driver car, which always turns heads - Nobody really knows what it is. 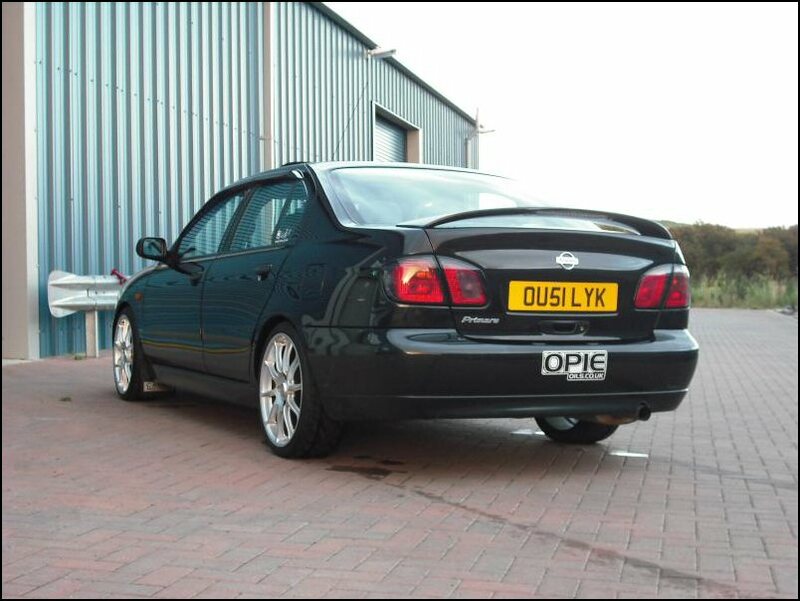 Is OU51 a long term keeper now, or would you buy another Primera? Who knows?! 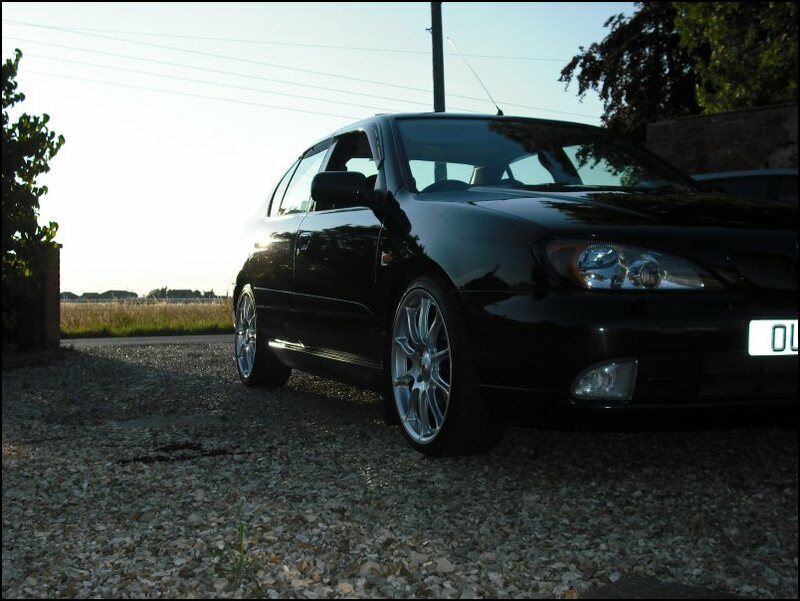 I'm always looking for low mileage, mint condition Primera`s but there are not many left now. Your awesome 144 Sport+ has seen a few owners within the club (and we're happy it's stayed here too!) Was it always a car you wanted to own? Not really, I needed a new car as the silver GT was really sick, rear end damage. I did not find anything else in that price bracket so the 144 it was. Cybercraft Induction Kit, sounds awesome! JVC Touch Screen Head Unit. 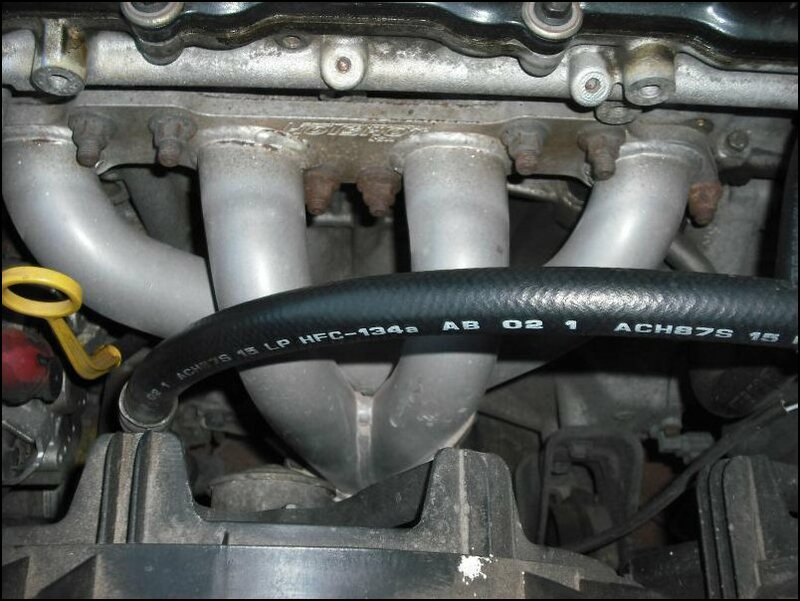 What's been the best modification you enjoy on the Primera and tell us why? 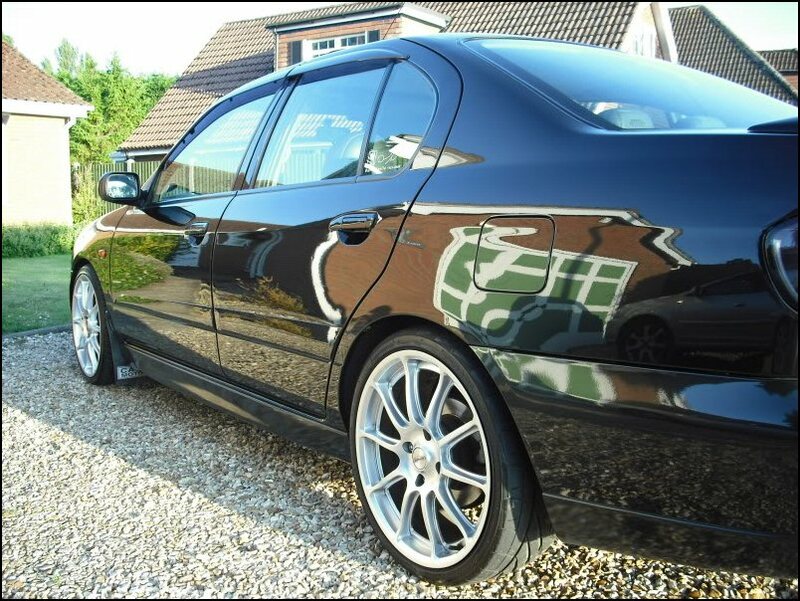 It has to be the rims, I think they really suit the 144. If someone gave you £1000 to spend on your car right now, what would you do with it? That's difficult, could they give me £2000! At present I can not think of anything I would buy, maybe one day I will have some Konis. Do you have any plans for further changes to the car, or any squirrels up your sleeves? No more plans for the car, just keep her looking sweet. 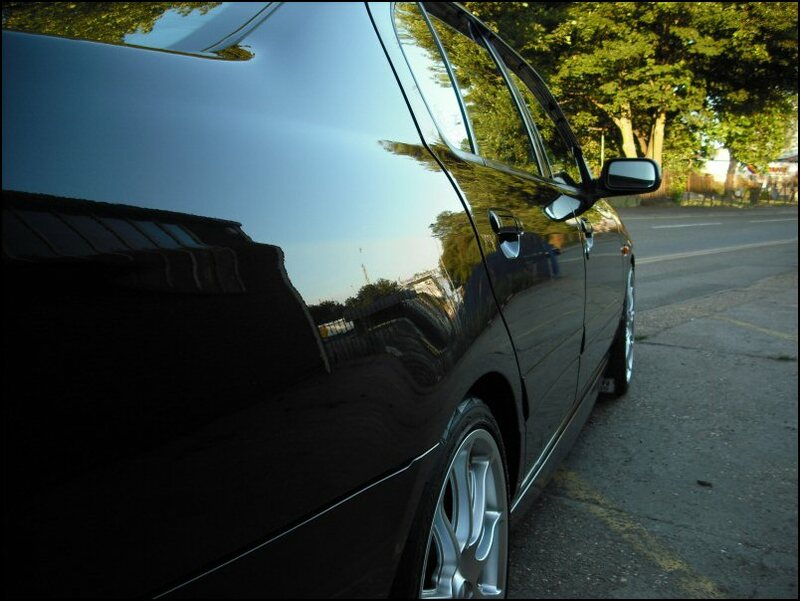 It's black and not the best colour to clean but you can enjoy all the hard work after. It always puts a smile on my face. Squirrels? Hmmn... I am looking for a winter project so who knows!?! We see you and the car at a few Club Meets every year, how comes you�re not coming to the biggy, JAE? It's been a funny year and I've had big hassle with access to my daughter, so it put me in a "can not be arsed" mood etc!! Work is an issue too as it's difficult to plan far ahead, hopefully I will attend more meets later this year and next year and in something a bit mental!! You've celebrated years of NPOC paid up membership (respect)!! Yet you're far from a forum post whore. Are you one to just sit back and browse the forums contently? I do post now and then, I mainly enjoy just reading other peoples posts. Tell us your favourite NPOC car? - Di (Angel1)'s red P11 GT, which is sadly no longer with us after it got written off. Congratulations once again for winning Car Of The Month for September 2009 Ady! It's been a pleasure doing this one and featuring you and OU51 - Please sign off the feature in your own words, with your thanks and any praise where it's due, to any and all, who have helped you bag the trophy. Big thanks to all the Staff at NPOC for picking OU51 for car of the month. I've really enjoyed the past 6 years, being a member of this growing club. Thanks to my good friends James Inglis, Sluffer, EVOGT, P11SR20, Ross and Quaily. Congratulations once again to Ady!